Hyllo yevryone how r u doing. 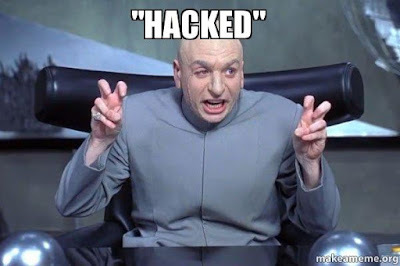 You see what I did there I got HACKED or glitched or GHACKED YEA I got GHACKED. Hey everyone TechAP here and today I am here to talk to you about cyber security more specifically learning about cyber security. Ok this is not a fake work from home easy money hoax this is a course for you to learn cyber security but well nobody gives a defecation about THAT. What we care about is a little something called HACKING. YES, YES, YES, YES, YES, YES, YESSSSSSSSSSSSSSSSSSSSSSSS. Ok cybrary provides couses for hacking so what they have to be like a million dollars a second right ? NO they are freeeeeeeeeeeeeeeeeeeeeeeeeee. Well TechAP what's the catch? No catch.